The Herald and Chronicle used a January 28, 2013 picture also used by Maziwisa, who implies it was taken yesterday saying, "The greatest man of our time, looking sharp and sprightly as ever, on arrival from Singapore at the Harare International Airport yesterday!" Why didn't Zanu-PF provide recent pictures and kill off speculation once and for all? ko zvine basa rei as long as nyama nemweya zvichiri pamwe. Zanu experts,they are trying to rig. Let's see if they can rig dearth,nonsense!!!!!! !thina sesakhala kwedlula! @rice Psychotic Maziwisa last seen Today at 07:27 he is not doing his usual rantings about Tswangirai today... He knows Whatsapp. That is an official website waiting for the final breath of Spongebob. @ Mthwakazi kandaba that file on your link is also an old picture. 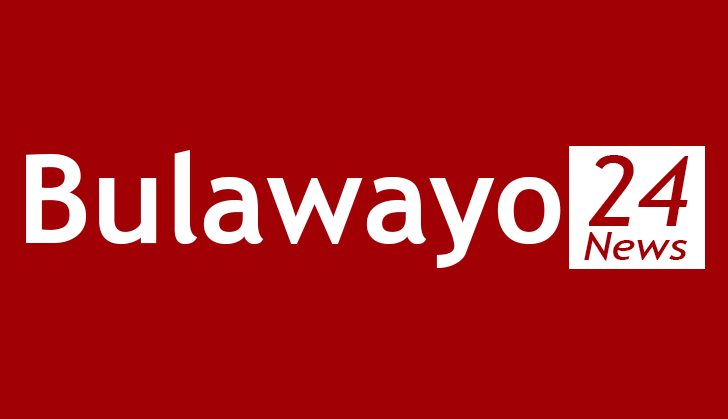 I am waiting for Psyocopath Maziwisa to tell the nation what has happened to the old man. Achavigwa rini ku Heroes as he is the last man. Politburo irikuti chii????????????? sory mahlabezulu its not zanu pf that published or posted old photoes of our Hero Mugabe but these jornolist should tell us why they posted old photos mhlawumbe bebe khohlwe ama camera besiyamhlangabeza embizeni yomoya. They would normally display his arrival to show he is alive and kicking. They did not do this time around. Baba jukwa could very well be correct this time around. There must be a compelling reason to show old pictures and not live ones. Mugabe is not well and age and long illness has caught up with him. Its a matter of time b4 the truth comes out. kanti lani latshona lizihlupha.., akuselamuntu laphayana sokuludokoza kuphela.....! we will celebrate Mugabe's Happy Death Day....! Are u ppl sayng whn Mgabe arrvd frm Sngapore, he ws not shown on TV arrvng at th Harare Int Aport ? Zanu-PF re clver ppl as far as I knw thm, thre is abslutely no reason why thy wld nt hve shwn Mgabe arrvng frm Sngapore in order 2 allay spculation nd silence thse rumor mongers.If thy dd nt do tht, thn I cn tell u thre is smthng amss whch thy re nt tellng us.At th end th truth wll cme out nd thre is nthng tht thy cn do abt it.Why dnt thy come out and tell th nation tht th presdnt is nt well? The President, Cde Robert Mugabe and his family have returned home from the Far East where they had gone for holiday. Cde Mugabe is still on his traditional annual leave until the end of this month. Cde Joyce Mujuru remains the Acting President. following the speculation that he's sick,they were suppose to show live pictures. This means the president arrives on a streture from hospital this is true mark my words. Vice President Joice Mujuru continues as Acting President until President Mugabe√¢‚Ç¨‚Ñ¢s funeral is over. This a confirmation that something is wrong with Mugabe. At 90 years old this is to be expected. They can re-package and groom him but it will not change the fact that Mugabe is now old to rule. He must just retire and rest. Like the RSA govt did for Mandela, the Zimbabwe govt will look after Mugabe's health and social welfare. They are hissing something. There must be something wrong with Mugabe for sure. Why did show us live pictures of him arriving and the receiving party? The truth will soon free them and nature will reveal itself. 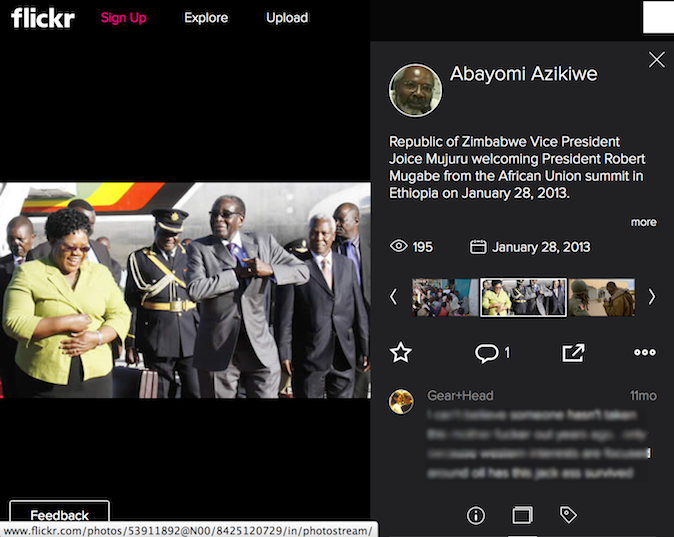 @Abe Netha, Zanu claimed that a photo that was uploaded on Flikr on the 28 Jan 2013 was taken yesterday. Maziwisa speaks for Zanu remember, he himself said: "The greatest man of our time, looking sharp and sprightly as ever, on arrival from Singapore at the Harare International Airport yesterday!" The lord knows everything. May the hand of the lord heal this man. Mugabe is my role model. WATCH OUT. Am comin' soon. Perhaps its true that the President is ill. Maybe he arrivved on a stretcher or wheel chair or is in too much pain to be seen by the public.